Best of all, you can count on the quality of our clothing to last more than one season. We understand fashionable plus size clothing is hard to come by, which is why we have hand-selected styles that feature both modern-day trends and a comfortable, flattering fit. 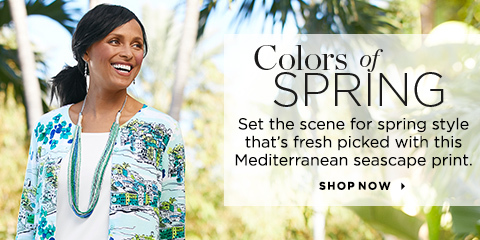 Whatever the season, you're sure to find the key pieces you need to brighten your wardrobe with fresh color and style with our women's plus size clothing. Read our how-to style guides for more, including clothing that flatters a plus size figure and how to style an outfit for work.